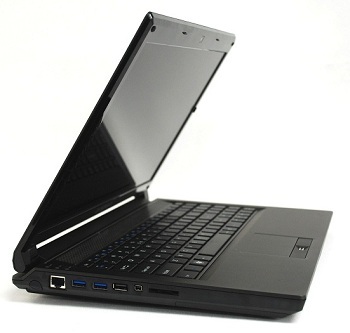 “The EUROCOM Racer is currently the fastest 15.6” notebook with the widest selection of VGA options. With the powerful Intel Core i7 Extreme Mobile processors, high performance AMD HD6970M technology, NVIDIA GeForce GTX 485M and Quadro FX 5000M this platform is capable to provide a single computer solution for on-the-go Engineering and replace traditional bulky desktop based workstations” said Mark Bialic, President and CTO of Eurocom Corporation. EUROCOM Racer is powered by an 180W AC Adapter which allows support for powerful GPU’s, up to 32 GB of RAM and new Intel Sandy Bridge processors. • Storage: up to 2 physical drives, SSD, hybrid or mechanical, up to 1.75TB of storage.